Our training is designed to provide a globally consistent, objective approach for client-facing associates to address client business issues. 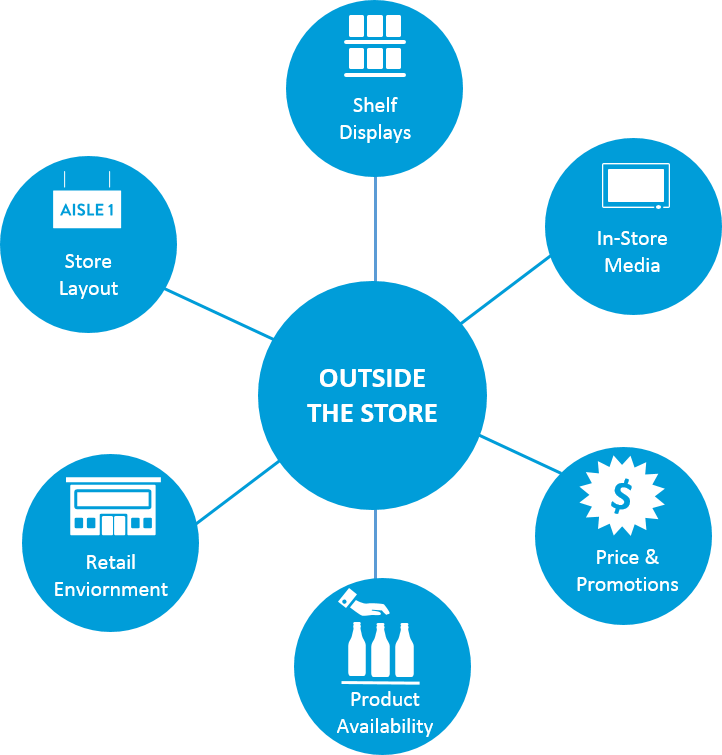 The aim of the Integrated Solutions Shopper curriculum is to introduce the Nielsen Shopper Practice and provide an overview of the key Nielsen solutions that play in the Shopper space. The Shopper Video: Provides a brief foundational introduction to Shopper, reviewing what it means and why it is important. Designed for use both internally and externally with clients. Click here to view the video. Shopper Practice Overview Tutorial: Reviews practice fundamentals and shares the key Nielsen solutions within the Shopper space. Designed for internal associates only. 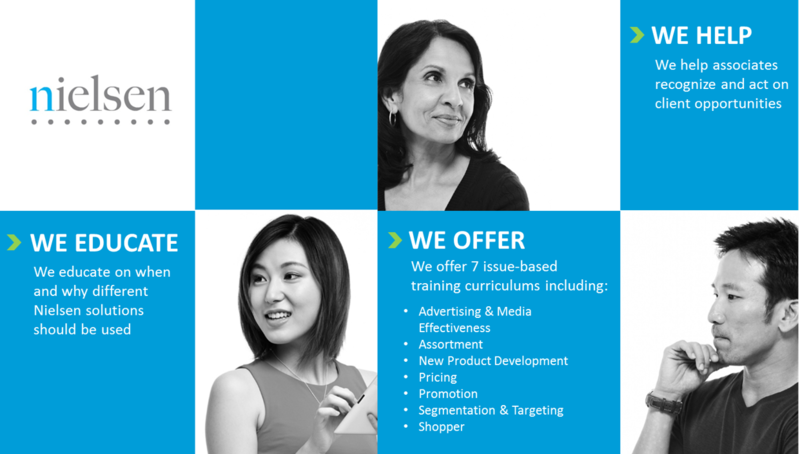 Coming Soon: Application training of Shopper solutions leveraging integrated case studies. The goal of this training is to build your confidence and credibility in discussing Shopper issues with your clients. 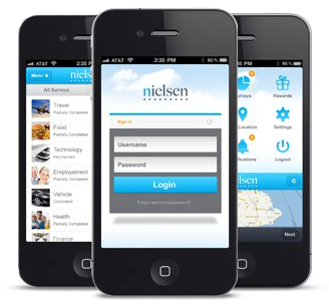 This program will raise your awareness of the Nielsen solutions that play in the Shopper space and when/why to use them. Recognize the client need for Shopper insights. Shopper Marketing is a relatively new concept that reflects the need to better understand how to more effectively influence shoppers in today’s increasingly rich multi-channel, multi-media environment - with the ultimate goal of driving sales. We use the term Shopper to encompass all marketing actions that influence a shopper’s purchase journey both outside the store and inside the store. Read more about them in the following pages. What influences a shopper outside the store? Social Influence - Includes any word of mouth or social trends that can influence shoppers. Household Situation & Environment - Environment refers to economic, geographic and infra-structure related factors. What influences a shopper inside the store? Retail Environment - Includes a variety of factors including in-store experience and services offered. Up until the mid-1980’s, consumer marketing was king – mass marketing, mass media and strong consumer brands. As retail became more concentrated and media more fragmented, making it harder for brands to reach their consumers, the era of the retailer began, bringing with it the core functions of trade marketing and category management as a means for manufacturers and retailers to engage. With the recent huge growth in e-commerce and the proliferation of choice and convenience available to shoppers, we are now entering a new era characterized by highly empowered shoppers. They have high aspirations, demanding requirements and very importantly new tools and methods to help them meet their needs. Shoppers now live in a complex environment influenced by social and technology advancements. Understanding how to effectively influence shopper decisions is important and can deliver convincing results. Deloitte found that US companies that invested in shopper marketing efforts grew 50% faster than their overall category growth rate – and in some cases 100% faster. 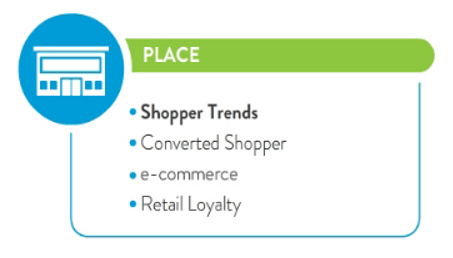 Source: 2008 Deloitte/GMA Report – Delivering the Promise of Shopper Marketing. 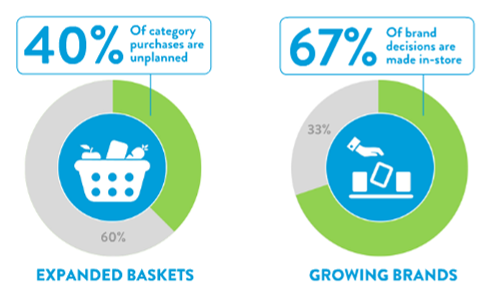 Nielsen shopper research has also uncovered large opportunities to influence purchase decisions and drive growth. Want to impact brand decisions? Considering 67% of brand decisions are made in-store, there is a significant impact the store, aisle and shelf have on shoppers’ decisions. 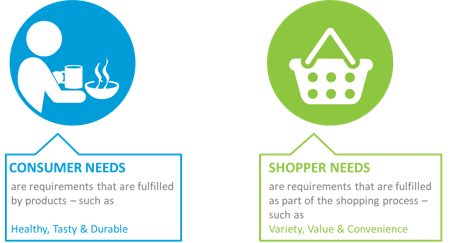 Shopper Marketing starts by recognizing that Shopper needs are different from Consumer needs, and that the behaviors of each will differ. Just think about the scenario of beer advertising tailored to influence male drinkers. This message may create a desire for the beer among the consumer target. Click on the "i" to understand the challenge Shopper Marketing faces. consumer mind set (such as brand perceptions, influence of advertising and past consumption experiences) to the shopping process. Shopper Marketing recognizes that consumers and shoppers can differ in their behavior and that there is a role for both Shopper and Consumer marketing: to drive sales and consumption. Understanding these differences allows for better clarity on the decisions shoppers make and clients’ abilities to influence them. 1. Journeys are demand driven, triggered by a need state. Find motivated shoppers and cater to high opportunity missions. Grocery formats in cities with focus on convenience meals. 2. Technology is changing the Path to Purchase. Design formats to maximize purchase. Innovate with new technologies. Special promotions delivered direct to shoppers’ mobiles. 3. Shoppers shop on auto-pilot. Use POS to change shopping rules e.g. intrigue, excitement, education. Stand alone aisle displays for Cold & Flu treatments in winter season. Shopper needs and consumer needs are identical. 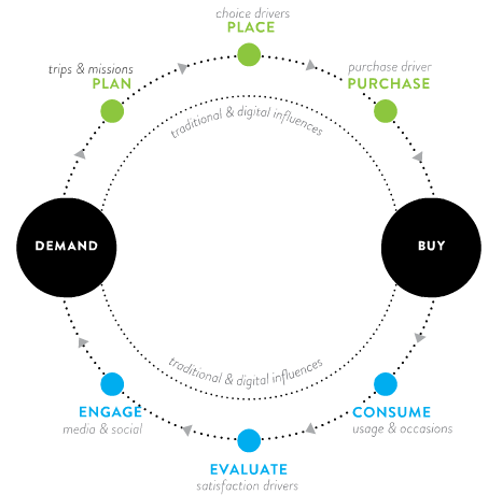 Which of these factors can influence a shopper’s purchase journey? Nielsen is well positioned to help clients understand how to influence shoppers and grow their business. Our portfolio of products is organized by 4 distinct Global Practices: Consumerization, Innovation, Marketing Effectiveness and Sales Effectiveness. 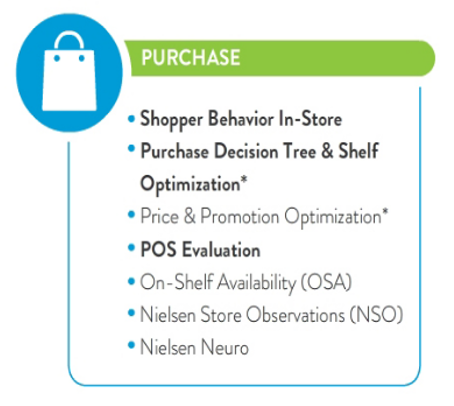 Nielsen’s Shopper Practice sits within the Sales Effectiveness Practice Area. The focus here is on sales activation, with the objective of helping manufacturers and retailers collaborate to create winning outcomes. 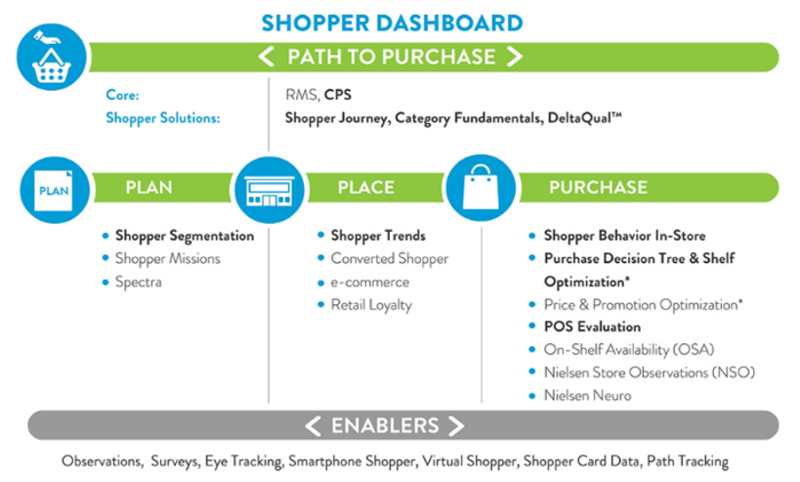 Nielsen’s Path to Purchase Shopper Framework connects consumer demand to what shoppers buy and provides clarity around the key shopper decision points: Plan, Place and Purchase. Understanding a shopper’s path to purchase is critical to both our retailer and manufacturing clients. The path is also highly influenced by how we consume, evaluate and engage. Shopper Insights isn’t just about what happens in-store. 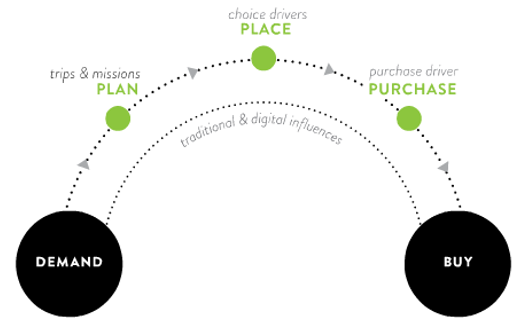 It starts when the consumer puts on their shopping hat and begins the process of making decisions about the total trip (Plan), where to buy (Place) and their in-store choices (Purchase). WHEN are they buying (what types of trips/missions)? WHERE are they buying (store choice drivers)? WHAT and WHY are the triggers to purchase (in-store)? Digital now plays an important role within the Path to Purchase, helping to reach shoppers. Shoppers still seek convenience, choice and value; however, digital technology now steers that path with new routes via online shopping and raised expectations via social media and peer reviews. The Shopper Dashboard is a resource to help you quickly identify those solutions that will best address your client’s Shopper needs. manufacturer clients- Solutions more relevant for Manufacturer clients include: Category Fundamentals, DELTAQUAL™, e-commerce, Shopper Behavior In-Store, Purchase Decision Tree & Shelf Optimization, Price & Promotion Optimization, POS Evaluation, Nielsen Store Observations (NSO), Nielsen Neuro. retailer clients- Solutions more relevant for Retailer clients include: Shopper Trends, Retailer Loyalty and OSA. These solutions are relevant across the entire Path to Purchase. RMS & CPS: RMS and CPS are Nielsen’s core syndicated tracking services on the Buy side of the business. They provide robust and comprehensive measurements of the retail and consumer landscapes. Both are important starting points for delving into Shopper issues. Shopper Journey: Shopper Journey provides a holistic view of the shopper’s decision making along the category path to purchase, usually across channels. This service is an ideal starting point for clients who haven’t done a lot of work on Shopper to-date. Importantly, it also investigates the Digital Shopper Journey (the online research/purchase journey), to provide clients with the big picture of how best to activate shoppers both in-store and online. 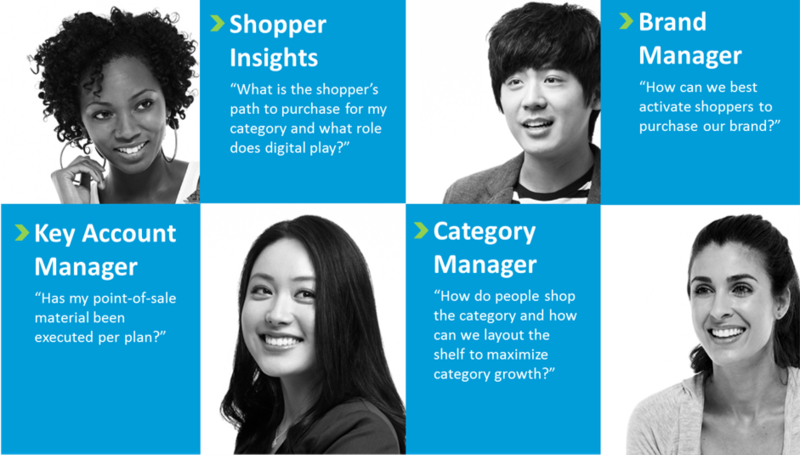 Category Fundamentals: Category Fundamentals is a syndicated shopper survey that provides a basic understanding of category dynamics, to provide guidance on how to activate shoppers in the category. It is available in 16 markets across 54 FMCG categories. 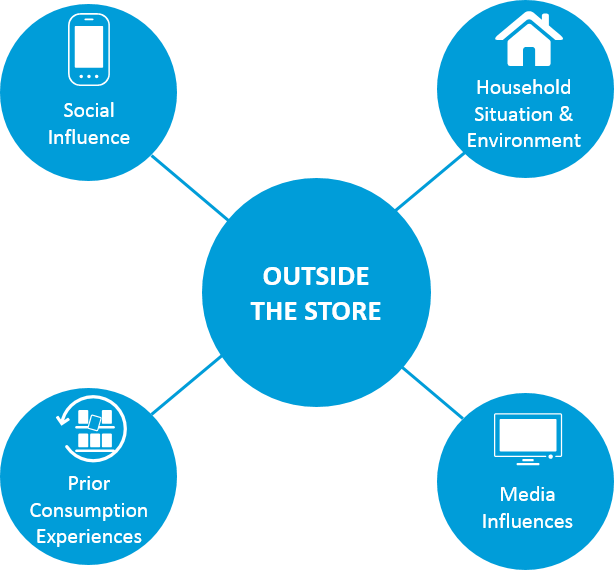 DeltaQual™: DeltaQual™ is Nielsen’s proprietary qualitative framework to decode shopper decision making at a category level, and provides a deep understanding of how to leverage or break habitual shopping patterns. 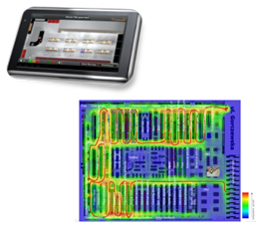 It can be used to provide deep diagnostic insight at Plan, Place and Purchase. Plan is focused on understanding shopper profiles and better understanding shopper needs and motivations pre-store. These insights help inform shopper marketing plans and activation strategies. Trip context: Where are Shoppers, are they rushed, are they planning a large stock up trip, or are they buying what’s needed for meals today? Consumer demand: The product needs that drive a trip such as “is the product going to be consumed on-the-go, or is it for a special occasion?” Consumer demand also relates to the more underlying category needs and motivations. Shopper needs: What expectations does the shopper have? Do shoppers want a fast shop, large buy-in-bulk SKUs, self-checkouts? Shopper Segmentation: Shopper Segmentation is the first step in moving along the Path to Purchase from ‘demand’ towards ‘buy’ and is focused on the ‘Who’. It is a general segmentation approach that takes into account shopper profiles, shopping habits and attitudes, and category shopping modality. Whether shoppers shop in autopilot mode (likely to be rigid in terms of their purchase behavior) or whether they shop in experimental mode (buying different brand and products, and are thus more likely to be open to influence in-store from activation activities and marketing tactics). The focus is on activating specific shoppers across all trips. This approach is appropriate for categories typically used and shopped in a common manner. An example of this would be shampoo, where although at the consumer end, hair and thus shampoo needs are different, there is an overall dominant need from a shopper perspective (washing hair!). 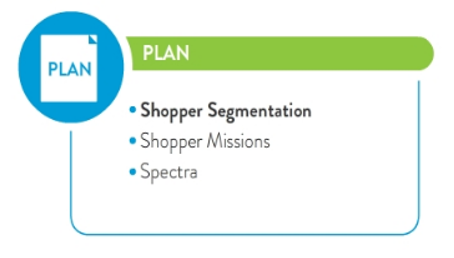 Shopper Missions: Shopper Missions is a segmentation approach particularly suitable for categories in which shopper behavior differs according to occasion and need-state. A good example is carbonated soft drinks with a multitude of different pack formats, sizes, etc. The focus with this segmentation approach is on targeting specific missions among key shopper segments. Spectra: Spectra is a segmentation tool that links data sources (e.g. consumer panel, tv viewership) via household zip codes and specific demographics (age of head of household and age and presence of children) to enable store-level targeting of chosen consumer/shopper segments. Place is focused on understanding where people shop and why. What are the drivers for channel and store choice? Is it convenience, value, or the shopping experience that the shopper is seeking? These insights are used to drive retailer and/or category growth. Shopper Trends: Shopper Trends/Store Choice Drivers looks at store choice from the shopper perspective: analyzing retailer strengths/weaknesses and identifying opportunities for retailers to improve shopper loyalty and increase shopper spending. 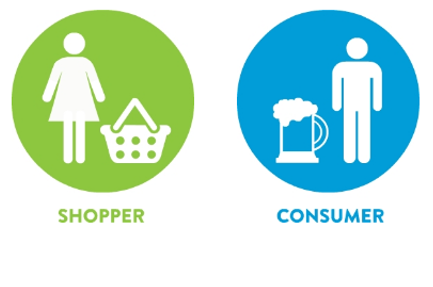 Shopper Trends is an annual syndicated shopper survey (50+ markets) focused on FMCG whereas Store Choice Drivers is a customized study that can be applied outside of FMCG. Converted Shopper: Converted Shopper, known as Trade Planner in Europe, is an advanced analysis based on CPS data that looks at loyalty from a brand/category perspective within a specific retailer(s) to identify strengths/weaknesses and from this determine loyalty opportunities. e-commerce: e-commerce/Digital Shopping is predicted to total almost $1 trillion by the end of 2013, and represents the fastest growing retail segment in many markets. Nielsen remains ahead of the market curve by investing in our Digital Shopping capabilities, with a focus on sales measurement and shopper engagement. Retail Loyalty: Retail Loyalty merges retailer shopper card data with Nielsen ‘rest of market’ data to offer exciting opportunities to drive shopper marketing (e.g. personalizing shopper marketing to the individual). Retail Loyalty is currently focused on Safeway in North America, but is looking for opportunities to expand to other retailers and markets. Purchase is focused on understanding what happens in-store. Identifying how to encourage products into shoppers’ baskets and ultimately improve performance for the store, category and brand is key. What is the optimal aisle and category shelf layout? How do product placement, price and promotion influence shoppers’ purchase decisions? These issues lie at the heart of Shopper decision making: reinforcing or interrupting autopilot shopper decision-making in-store. Shopper Behavior: Shopper Behavior In-Store is the core Shopper product that assesses shopper conversion levels through observation and interview, and identifies triggers and barriers to purchase. PDT & Shelf Op: Purchase Decision Tree provides an understanding of how shoppers shop the category and their decision-making priorities at the shelf. Shelf Optimization takes this approach further by uncovering opportunities to extend or streamline the assortment, with the goal of identifying optimal aisle/shelf layout and assortment execution. Both of these solutions are covered in more detail in the Integrated Solutions Assortment curriculum. Price & Promo Op: Price and Promotion Optimization focus on strategies to optimize regular price and promotional offers across the client portfolio. Pricing and Promotion solutions are covered in more detail in the Integrated Solutions Pricing and Promotion curriculums. POS Evaluation: POS Evaluation is a suite of approaches that examine the effectiveness of point-of-sale materials in activating shoppers. OSA: OSA measures on-shelf availability and provides root cause analysis based on daily store-level retail data. Even if all the appropriate in-store activation is in place, if the product is not available then the shopper can’t buy! NSO: NSO monitors in-store variables from products on shelves, to pricing, displays and in-store signage. The success of any shopper strategy will be largely dependent on whether or not it was executed in-store as per plan. Nielsen Neuro: Nielsen Neuro leverages a neuro-scientific approach to measure the subconscious brain’s response to in-store stimuli. This approach helps identify what grabs shoppers’ attention in-store, and overcomes the difficulty shoppers may have in articulating their decision-making when in autopilot mode. Key areas of application include aisle and shelf fixture development and the development of display and point-of-sale materials. Enablers include data sources which feed Shopper solutions and technology solutions that facilitate the capture of key metrics. Who are my shoppers and which shopper mission(s) should I target to drive growth? What are my strengths/weaknesses relative to my retail competitors? What are the key triggers to purchase in-store for my category? Understanding a client’s issue and why it matters to them is key. Roll over each stakeholder to see how their needs can differ. Remember that shopper studies are about testing specific hypotheses and using learnings to shape future strategy. What is the impact of a change in shelf layout? What type of shopping trips is my category part of? What is impacting my category/brand performance in a specific channel or at a retailer level? What is happening in this category in-store? How do people shop the category? How effective is our in-store execution? How to determine if my shelving/communication in-store is per plan? How can I activate shoppers? You can offer the best Nielsen Shopper solutions if you determine your client’s needs and business goals by asking the right questions. Click here to listen to an internal Nielsen video reviewing the importance of asking the right questions. Understanding these elements will help us position Nielsen solutions as an investment decision vs. an expense. Our goal is to create relevant and useful answers that will help clients make the best decisions for success. What is the key client business objective? What decisions is the client planning to make following the research, and are there any constraints to be aware of? How important is the objective and if relevant, how should the decisions be prioritized? How will the decision maker decide which action to take? Who will own and use the research? It is important to investigate the Nielsen services that the client currently purchases early in the process, in order to ensure full value is derived before recommending additional spend. What are the specific research objectives? What is the budget for the research? Note that some clients may be unwilling to disclose this so you may need to propose a tiered solution. What is the timing of the decision? What Nielsen services does the client already purchase? The client briefing session is an important opportunity to get all client hypotheses out on the table and have a very open-ended discussion about what is going on in the category/sector/channel and what the client believes the root causes are. Remember to ask the client if they have other research that has been conducted that is relevant to this issue. This can help enrich your solution and provide a more complete picture. How is category/brand performing and does the client have hypotheses about the business issue? Does the client have any existing research relevant to this issue? The greatest value proposition that Nielsen offers is the breadth and depth of our portfolio, and the ability to integrate multiple solutions to fully address a client issue. While some opportunities may be initiated by a client brief, others may become apparent during a client’s business review or annual planning session. It is useful to retain the key Shopper briefing questions as a mental checklist, as you never know when an opportunity may present itself! Having a comprehensive knowledge of the Nielsen solution portfolio, and when/where each solution is relevant, will help you better recognize these opportunities. This knowledge will equip you to have a credible conversation on the issues with your client. While different client issues lead to different Shopper solutions, there isn’t always one most appropriate solution. The client issue may require a combination of solutions, or a customized solution, dependent on certain constraints. In this activity, you will be given an incomplete client brief. Read the brief and identify the key questions you should ask in order to help determine the most appropriate solution. The Great Gum Co. invests significant funds in Point-of-Sale (POS) equipment, as interruption and reminder purchase are an essential route to sales for the chewing gum category. Currently they have no clear understanding of their POS effectiveness. Additionally, they have no insight into where POS units are actually placed in-store, how long they are left in place and even if they are replenished. Going forward, they want to develop a clear POS strategy based on evidence of what actually works and have approached Nielsen for help. The research will be sponsored by the Sales & Marketing Director and managed by the POS Manager. Analysis and presentation of results is required 6 weeks from fieldwork completion. From the information provided in the brief, The Great Gum Co. has already answered a number of the key briefing questions. ✓ To develop a clear POS strategy based on evidence of what actually works. ✓ Very! The Great Gum Co. invests significant funds in Point-of-Sale (POS) equipment as interruption and reminder purchase are critical for this category. Who will own and use this research? ✓ The research will be sponsored by the Sales & Marketing Director and managed by the POS Manager. When is the research expected to be completed? ✓ Analysis and presentation of results is required 6 weeks from fieldwork completion. What is the budget for the research? Which design agency creates the POS materials? Do you have any existing research relevant to this issue? How large are your POS displays? To propose the most appropriate Nielsen solution, what additional questions would you like to ask The Great Gum Co .? The Shopper Dashboard in Action is designed to provide you an interactive learning experience. Learn more by clicking on the solution names listed below. You will find additional information on client issues, solution descriptions and key benefits. Viewing tip: For an optimal view of the Dashboard in Action, you may need to change your computer screen custom zoom between 80% to 90%. For a more comprehensive view of the solutions, click here to download the Shopper Solution Grid. ✓ There are funds available of approximately $75,000. ✓ To understand shopper penetration and purchase conversion metrics by POS equipment type. ✓ To check POS campaign compliance in-store. ✓ To test new POS ideas prior to retailer engagement. ✓ No – the Great Gum Co.’s historical research in this area is outdated. Per the Shopper Dashboard, Shopper technology solutions are an important “Enabler,” facilitating the capture of key metrics. Test before you invest! 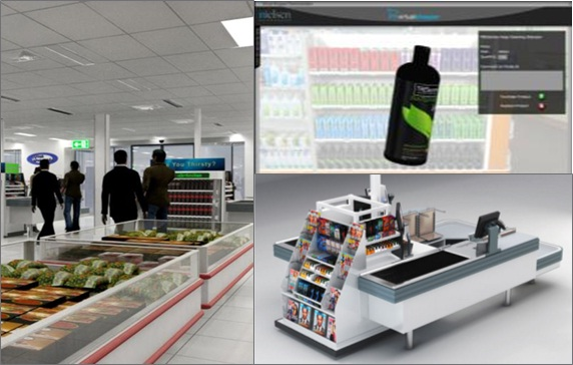 A virtual store environment allows the impact of a change in shelf layout, a new pack design and/or new point-of-sale material to be tested without impacting the existing strategy in store and without the full cost of in-market testing. Respondents from a Nielsen online survey are channeled into either a ‘Control’ or ‘Test’ 3D Virtual Store and asked purchase intention questions. Shopper Lab: Actual store mock-ups located in Singapore, Australia, and Dubai. Coming soon in UK and Russia. Eye Tracking provides objective, persuasive visual evidence of what the shopper is noticing and engaging with at the aisle/shelf. It monitors shoppers’ actual eye movements to provide precise information about shoppers’ navigation paths and determine attention, saliency, interest and gaze path. 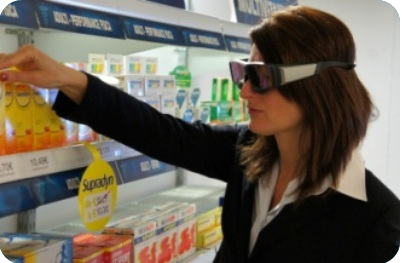 This information is combined with follow-up in-depth interviews that review footage and explore reasons for eye path movements and the insight derived is used to improve product and point-of-sale placement in-store and at-shelf. Note that eye tracking tells us what shoppers were looking at, but it doesn’t tell us what they were thinking (Eg: if their eyes paused at a certain part of a shelf or package, was it because they were being emotionally drawn in or because they were confused?) . This is why eye tracking is always undertaken with follow-up shopper interviews. Nielsen Neuro combines eye tracking with brainwave measurement to capture attention, emotional engagement, and memory activation. It can tell you not just what people were looking at, but more of the “why”. Smartphone Shopper (SPS) is primarily used within the Purchase phase of the Path to Purchase. It allows us to talk to shoppers when they are in the store and capture in-the-moment insights in real-time without the respondent’s need to rely on memory. To what extent do people pre-plan the category on a specific trip? What do shoppers think of the product at the point of purchase, and how does it compare with the competition? What impact do marketing initiatives (e.g. point-of-sale, store event) have on buyer behavior? Path Tracking is focused on the Purchase phase of the Path to Purchase and primarily utilized in the Shopper Behavior In-Store, Shelf Optimization and POS Evaluation solutions. The use of tablets ensures more accurate data capture, faster project execution, and lower costs for larger scale projects. Congratulations! You have successfully completed the Shopper Practice Overview Tutorial. Access My Learning Network for more training opportunities and learning resources.